Are you discontent with the many dozens of on-demand music services? Well, here's one more for you to try and hopefully love... or maybe hate, because let's be realistic, if you still haven't found one that works well for you, it's going to be very difficult to satisfy your taste. But iHeartRadio would sure like to take on that challenge with its two new paid plans. So far, iHeartRadio has been an online radio provider that streams existing stations and artist radio stations (think Pandora, kind of) and podcasts for free. But now, there's iHeartRadio Plus for $4.99/month which gives you the option to replay any song your hear, save it to your library, search and play songs on-demand, and skip as many songs as you want. The more interesting plan, however, is iHeartRadio All Access for $9.99/month. Introduced with the collaboration of Napster, this one brings the same benefits as the Plus plan, plus flexibility over creating your own playlists and libraries as well as offline listening. Both services are now in beta and expected to go live for everyone on iHeartRadio's mobile and desktop apps in January. You can grab the app from the widget below, but it wouldn't hurt to sign up to be a beta tester in case the feature becomes available there. iHeartRadio connects you to all your favorite music and radio stations in one free app. 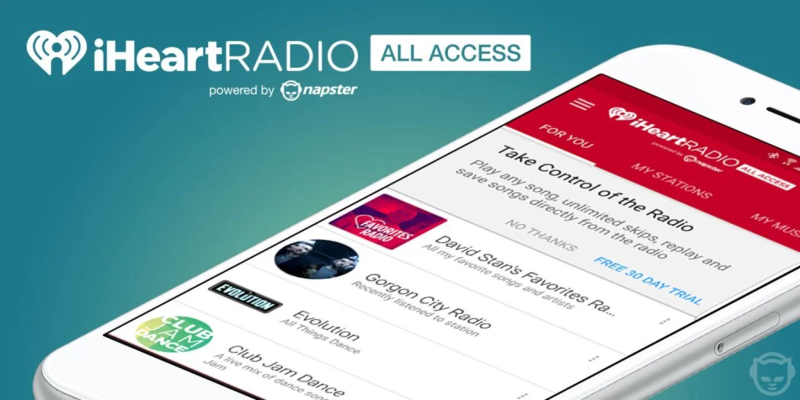 And now with iHeartRadio Plus and iHeartRadio All Access, you'll have even greater control over the music you love. It's radio and unlimited music all in one app. Enjoy!